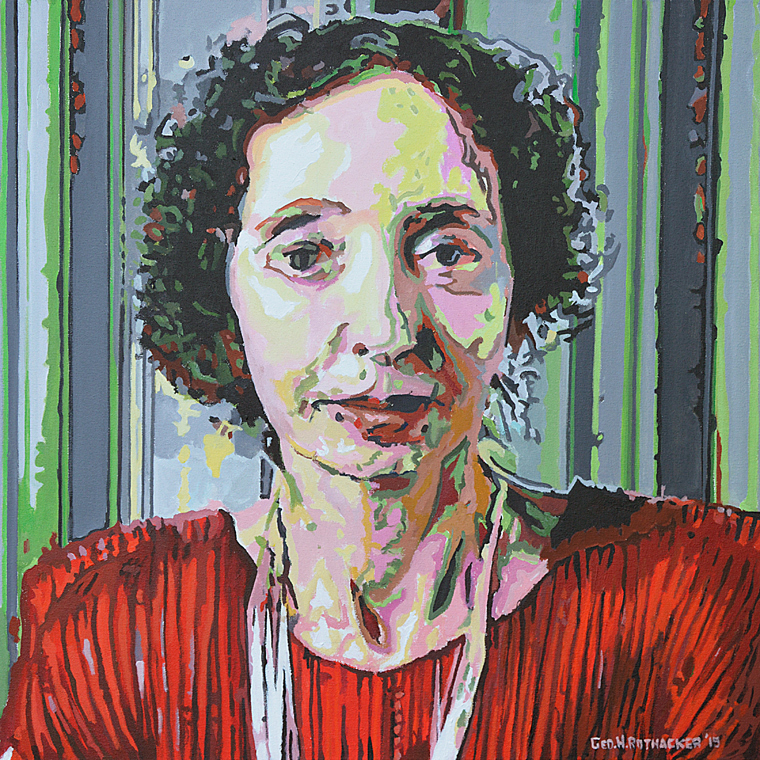 Joyce Carol Oates by George H. Rothacker - acrylic on canvas - 24" x 24" - Original painting $2400, prints @$90 each plus tax and shipping (Prints are an edition of 50, signed, titled and numbered with an image area of 13"x 13"). There are few writers in modern times as prolific as Joyce Carol Oates. 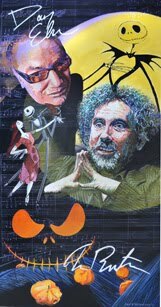 I discovered her in the early 1970s when I happened upon her novel Wonderland, the fourth book in her Wonderland Quartet begun in 1967 with A Garden of Earthly Delights. After being amazed with the story, I quickly the read Them, the third in the series. The Wonderland series most likely was named after Lewis Caroll’s 1865 book Alices’s Adventures in Wonderland, a work that greatly influenced Oates growing up. Both Wonderland and Them seemed to exhibit these influences as she created fantastic scenes using real people and circumstances to carry the reader through her stories. In recent years I have read many of her short stories and a novel or two, but as will happen with authors, I became too familiar with her style and moved on to other authors. Whatever my personal reasons, Oates in her late 70s continues to flourish bringing fresh stories and messages to new generations of readers. Oates has been honored with 22 major literary prizes and awards in her career, has been a Pulitzer Finalist 5 times (including 2015), and won the National Book Award for Them in 1970 and nominated for Book Award 7 other times. In 2003 Oates said that she thinks she will be remembered for, and want a first-time Oates reader to read Them, and her 2000 historical novel, Blonde, a fictional chronicle about the inner life of Marilyn Monroe.